ON THE RUN: This image by Kevin Gentilcore (http://kevingentilcore.deviantart.com/) comes close to what COTB is dreaming of -- A handbook of the Scooby-Doo cases. Visit http://kevingentilcore.deviantart.com/ for info on commissions! RUH-ROH! 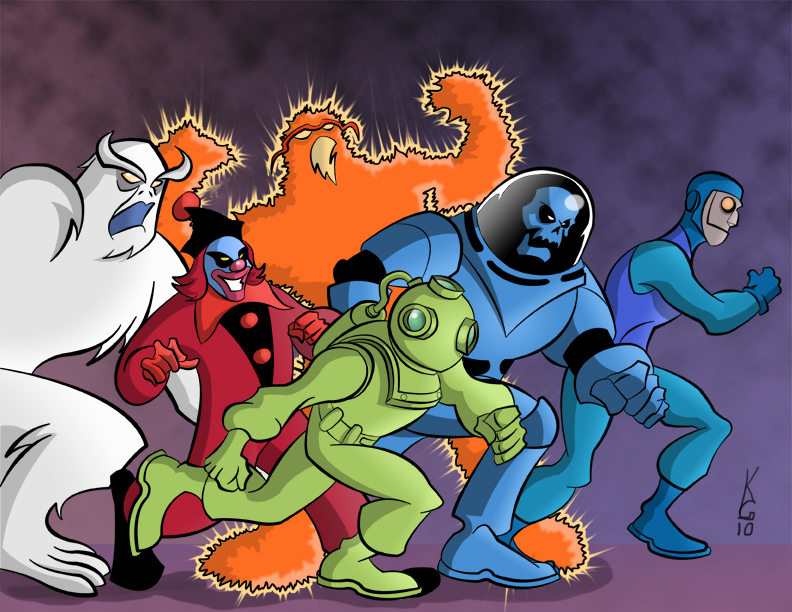 : We need a handbook of all the Scooby-Doo villains ever — from the first series to the most recent movies. Lately, the CotB staff has been enjoying the most recent Scooby-Doo cartoon series “Scooby-Doo! Mystery Incorporated.” As with any Scooby-Doo show, the villains are clever, interesting and brilliantly designed, often following visual cues first presented by animation legend Iwao Takamoto. 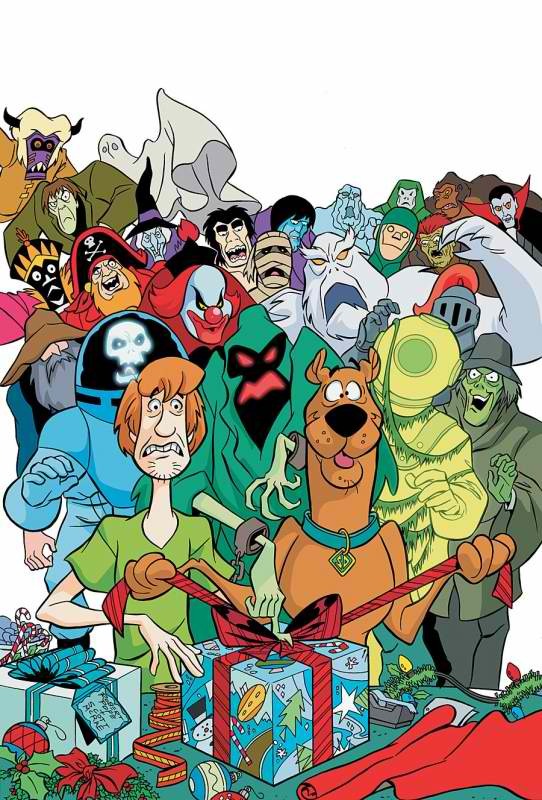 That got us wondering — wouldn’t it be neat to see some sort of “Handbook of the Marvel Universe”-style treatment of all the villains and primary characters that have appeared throughout Scooby-Doo’s production history. That would be pretty darn cool, in fact. Further, just to clarify, we’d prefer to see them done in the traditional Scooby-Doo style, so the characters from “A Pup Named Scooby-Doo” would need some redesigns too. While you can go to a Scooby Wiki and other places for an extensive list villains, I’d love to see a true handbook that documented the entire case history of the Mystery Inc. gang. Follow that up with a general issue poster and an art print, and we here at Comics on the Brain would be quite happy.